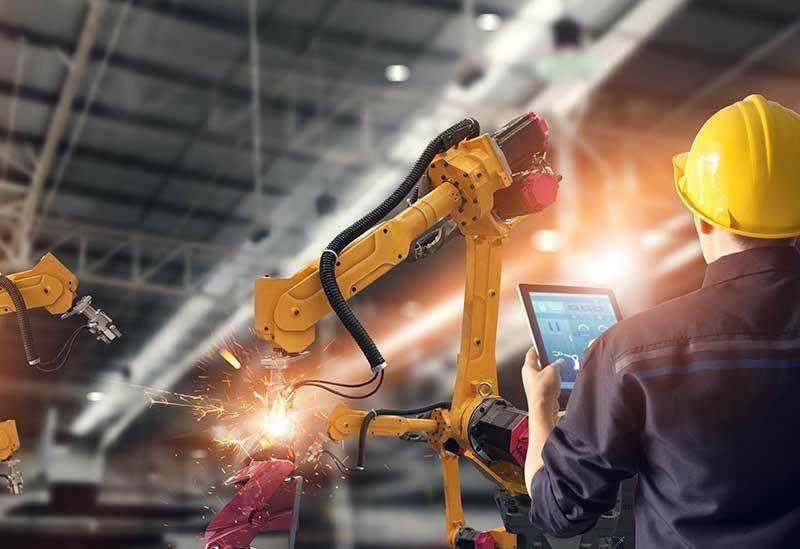 When mechanical and electrical issues come up in a refinery or processing plant, there is a high probability that location of the issue is not easily accessible. This is precisely where our rope access division comes into play. If work is required at the top of a structure (unit) or inside a vessel, our rope access technicians will safely, efficiently, and properly execute the job. Additionally, if welding is required, we have certified welders that can be easily paired with our rope access team to quickly make repairs and verify results. All these functions allow facilities to save considerable time and, most importantly, money. Delays due to the logistics and cost of scaffolding are no longer an issue for owner/users. 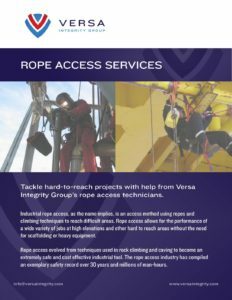 Versa Integrity Group rope access division perfectly complements our other asset integrity management services. We offer “the unified solution," meaning we can handle your project from inception to conclusion. If that is managing your entire facility’s mechanical integrity (MI) program, we can do that. If, conversely, that means hiring an experienced rope access team to perform mechanical and electrical work at heights, we can do that as well. We realize that your facility may not need all the services we provide. Therefore, our goal is not to sell you what you don’t need, but to offer you a solution that fits your unique challenges.